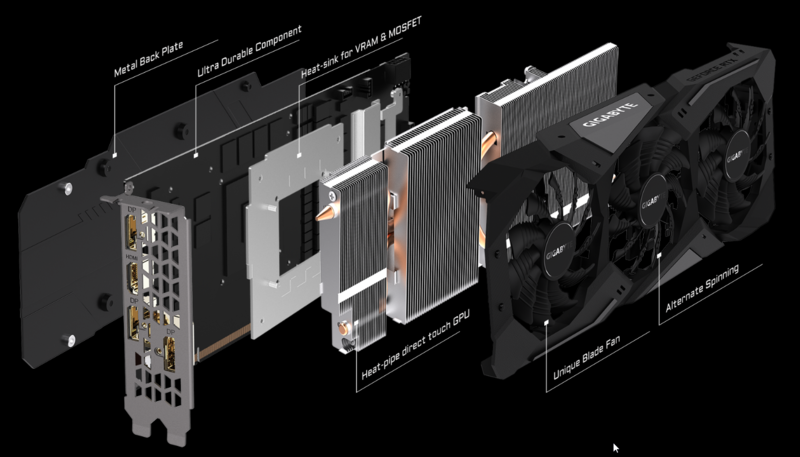 The last quarter of last year launched NVIDIA Its new and somewhat controversial new graphics card series, the GeForce RTX 2000. This is the first time a series of video cards is launched that is pure branding of a set of very specific functions thatNVIDIA A central part. 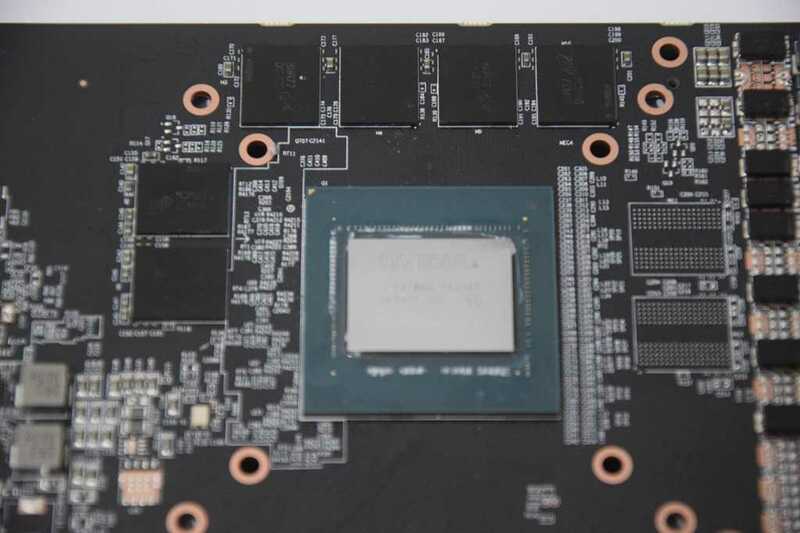 This launch comes to break some of the rules we have become accustomed to for many years in the world of graphics cards, one of which is the meaning of the branding of the video card and the market segment to which it is intended. 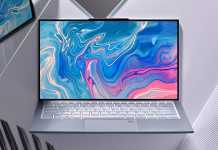 Due to the use of the 12 nanometer manufacturing process, which is only an improved revision of the 14 and 16 nanometer process to which we have been accustomed for some years, the expectations were not very high. That's why she decided NVIDIA To launch all the power it can within a sane heat envelope used in this production process. That's how we got it RTX Dear 2080 Ti, the RTX Dear 2080 as well, and RTX Dear little 2070 less. 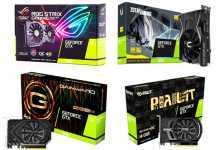 These three graphics cards actually come to create new market segments for financiers when RTX 2070 more or less remains the only one with an accessible price tag of 499 dollars and comes to replace the aging GTX 1080 head to head. We learned that this graphics card is a moderate but respectable improvement over the GTX 1080, and the ratio of the shekel to performance over the past three years has only slightly improved. Now a video card is coming to the market that is expected to gain significantly higher popularity than its older brothers and comes with a somewhat confusing branding. The Geforce RTX 2060 is a mid-market card that comes in a price tag of 349 dollars, which actually places it on the same price tag as the successful GTX 1070. 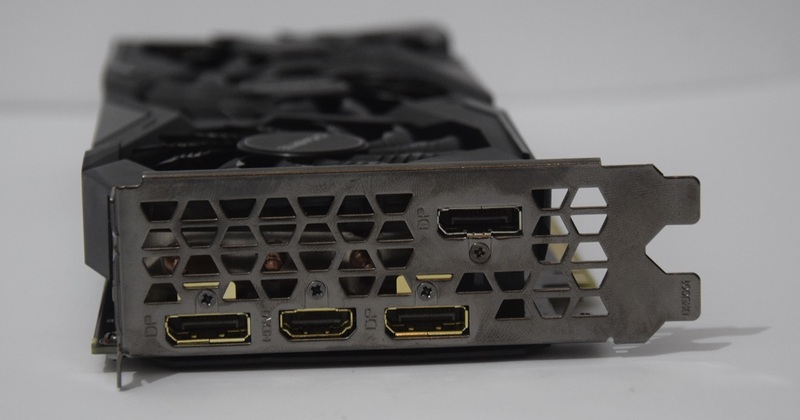 Contrary to what many might think, this video card does not replace the GTX 1060 at all, and we have to get used to the fact that 60 is the new 70, and that's the name it decided to give it NVIDIA. The video card tested in this review comes to us from the Taiwanese Gigabyte hardware giant and is a sample Gaming OC Pro. The size of the video card package surprised me a little, I'm not used to getting "mid-market" cards in such packages, but the size of the card inside makes up. This graphics card is considered one of the most advanced models Gigabyte has to offer. It comes with Cooling Quite reputable that includes three 80 fans in millimeters and four tubes Cooling Diameter 6 millimeters. This video card is 28 centimeters long. Its height is standard and stands at 11.6 centimeters. The graphics card's thickness is only two slots, so the compatibility of the cases and motherboards is in a good place. B-RTX 2060 decided not to use the type-C connection we are used to seeing in older siblings and you have reason to believe that this video card is not exactly optimal for running extremely heavy VR content. Besides, cutting features is an integral part of product segmentation. The display outputs are three types DisplayPort 1.4 and one type HDMI 2.0b. You can connect a screen to each port at the same time for a four-screen layout. The power requirement for this video card is a single 8PIN connection. Next we will touch the total power consumption of the computer system to recommend suitable power supplies. 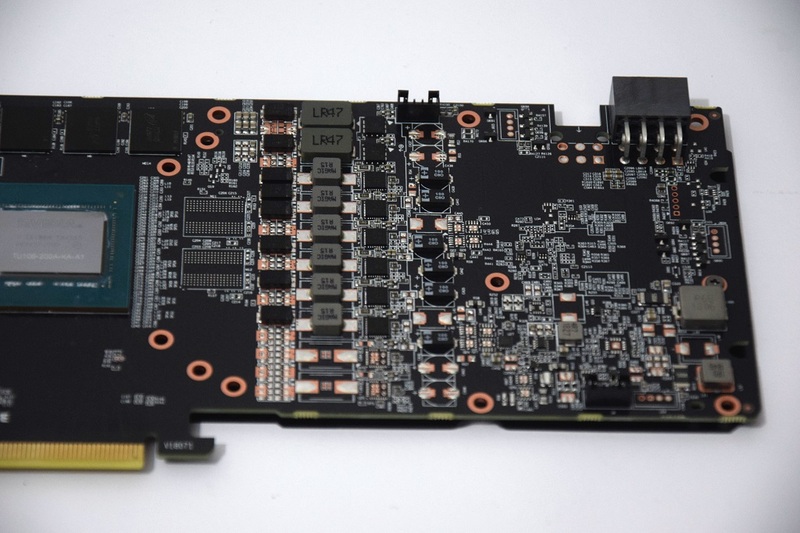 The printed circuit board used Gigabyte This video card is based on the one it uses toRTX Its 2070. Saving the cost of printing the board makes sense. Visual changes were made as a cut in memory chips and power supply, as is customary. 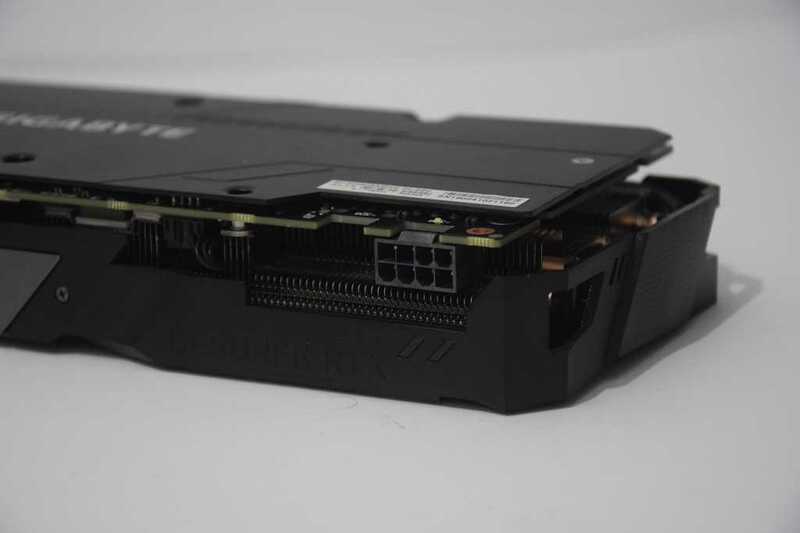 The power supply system for the card includes 6 phase for the graphics core and two for the graphics memory. The voltage stabilizers are set to a maximum current of 60A each, with an efficiency curve that peaks at 50% of this current. This is an electrical system above and beyond what such a graphics card needs, given the overall current of the 160A graphics core. Excellent engineering here, like any RTX card we have seen so far. It seems-NVIDIA And the manufacturers care about it. The graphics core used is TU106 NVIDIA. This is a very respectable area of ​​445 millimeters square, just like the graphics cards such as GTX 1080. Libra is Becker זיכרון Of 192bit and each channel in which (32bit) is connected to the chip זיכרון 1GB volume. The memories on this video card are made by Micron, and they are of the type GDDR6. The heat sink of this video card is very interesting and slightly different due to the size of the graphics core. There are four copper pipes on the card, with a slight spacing in the center. This is done in order to allow the distribution of these four tubes to the entire core geographic area. There are also thermal pads on aluminum plates for the purpose Cooling Memory chips, voltage stabilizers and coils. I consider this cooling solution a worthy transition, I think it is excellent. In the various profile tests, you can see how he is doing the job Cooling Graphic core. 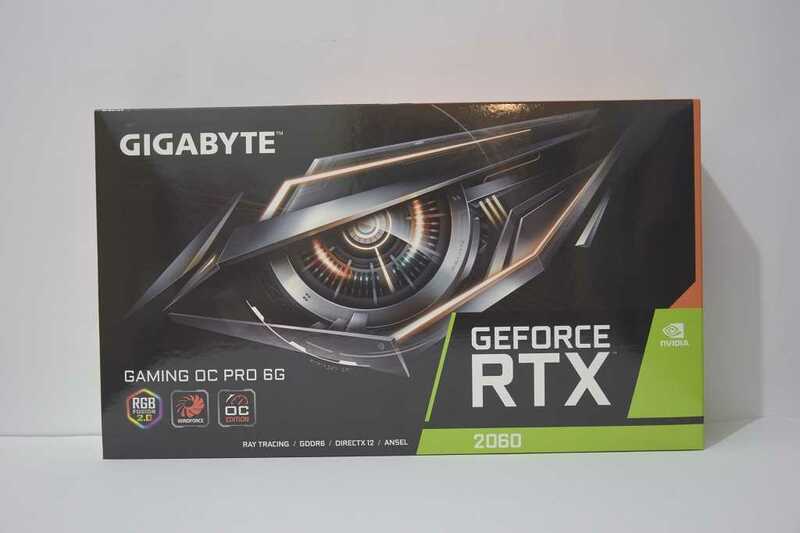 Before moving on to the performance tests, let's discuss the branding of the various models of RTX 2060 Gigabyte Because it's very important to me to make it clear that what you see here is not what you will see in any three-fan version of the company. There are two similar versions in the mirror when one reads Gaming OC Pro and second simply Gaming OC. The difference between them lies in the cooling system. This shows a "cracked" look of the Pro version of the review. body Cooling Thick and respectable, with four tubes Cooling. This is how theGaming OC standard. 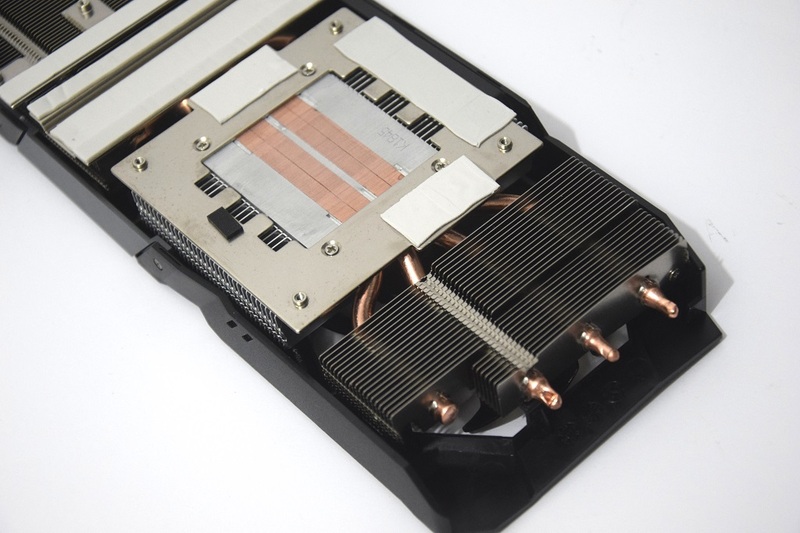 It is noticeable that it contains a body Cooling Thinner and has only two copper tubes. 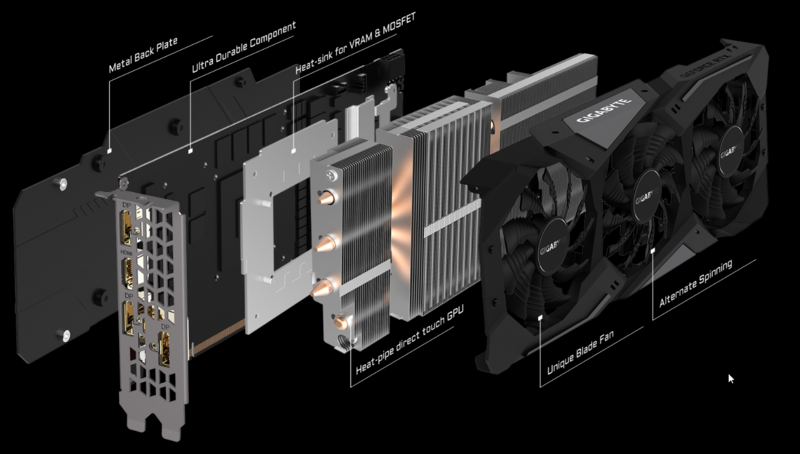 Of course, every version undergoes rigorous testing to make sure your video card is working at maximum effort, but it is important to take that difference into consideration. If you have an account, the difference in price between these versions is likely to move in the 20 area,Gaming OC is priced at $ 379, and the Pro is at $ 389. If you ask me, there is a good chance that we will see these prices fall slightly to give an answer to the other manufacturers' 359-369 versions, while lowering their other models. Gigabyte Loves to be the cheapest. Should we pass the performance tests?